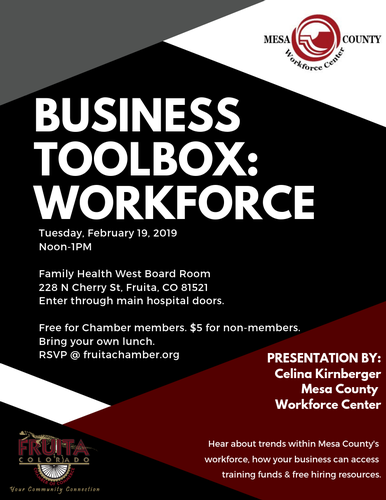 Event Description Join us for our next Business Toolbox to learn about Mesa County's Workforce! With special guest Clina Kirnberger with Mesa County Workforce Center. She will be discussing trends within Mesa County's workforce, how your business can access training funds & free hiring resources. Enter through main hospital doors.